DISCOVER THE ROMANTIC DESTINATION OF NAFPLIO! 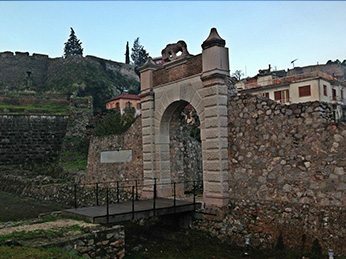 Nafplio is one of Greece’s biggest attractions not only because of his history and beauty; it is close to two of the most important archaeological areas in Greece: Mycenae and Epidaurus. Atreas, Agamemnon, Clytemnestra, Orestis…you may know them from history or tragedies written by ancient Greek play writers, but by visiting Mycenae you get to know where everything happened! 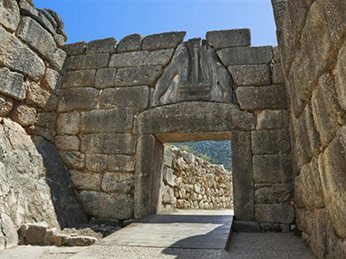 The architecture of the city, the gate of the Lions, the so called, tombs of “Agamemnon” and “Clytemnestra” are just few of the archaeological findings that make your trip to Mycenae, worth visiting. You will get to know a civilization that made a great impact and has left its marks until today, giving us a glimpse of their glory. In a canyon, in 340 BC, architect Polycleitus from Argos, built, according to Pausanias, the theatre of Epidaurus. 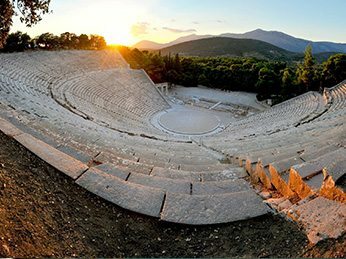 Among all the ancient theatres, Epidaurus theatre is the most beautiful and well preserved. Destined for the fun of the patients of Asklipieio, it had a capacity of 13,000 spectators. The Sanctuary of Asclepius at Epidaurus was the most famous of all Asclipia of ancient Greece, because of the many serious cases that were cured there. In that place sick people and seekers arrived from all over Greece and the Mediterranean basin. The wonderful natural environment of the region appeared to be very important for the treatment patients. 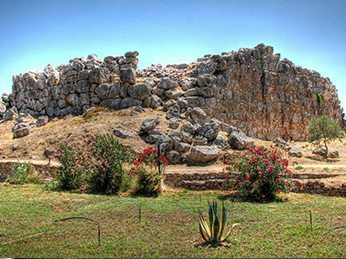 Tiryns as well as Mycenae are inscribed on the world Heritage list of Unesco. Tiryns is a Mycenaean archeological site in Argolis in the Peloponnese, some kilometers north of Nafplio. Tiryns is first referenced by Homer, who praised it’s massive walls. Ancient tradition held that the walls were built by Cyclopes because only giants of superhuman strength could have lifted the enormous stones. Tolo is a beautiful village with amazing sandy beaches. Koronisi, Romvi and Daskalio are the three small islands, located across from the harbor of Tolo. They are ideal for those who want to be in isolation, while enjoying the picturesque bays suitable for swimming and fishing. 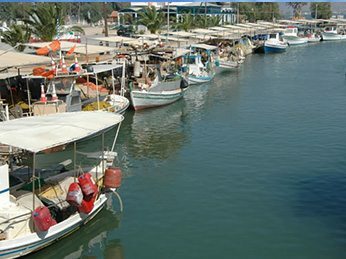 Tolo is located 10 km from Nafplio and it makes a wonderful start for local trips. Vivari is a small village near the sea. Among other things it is known for the fresh fish offered at tavers, placed right next to the sea, which makes it a dreamy combination. 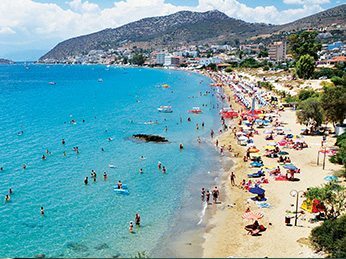 Don’t forget to visit one of its famous beaches Kondili. Argos is one of the oldest cities in Greece. The city of Argos is believed to be the birthplace of the mythological character Perseus, believed to be the son of the god Zeus and Danae, the daughter of the ruling king of Argos at the time , King Acrisius. 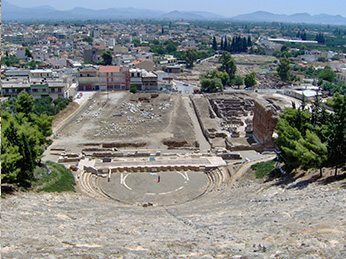 The pyramid of Argolis, the old theatre of Argos, the famous Larissa castle, are just few of the archaelogical attractions you have to visit. The town is only 10 minutes away from Nafplio and can be reached from Nafplio by bus or car. 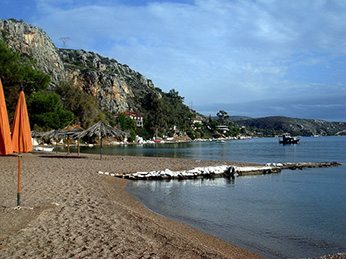 Nea Kios (7 km W) is a very popular town by the sea, situated at the edge of Náfplio bay. It is worth visiting for the Cultural-Conference Centre (in the central square) and the Laskarideio Folk Art Museum. Enjoy fascinating events during Carnival, summer (“Mikrasiatika” and “Kiana”) and in September (“The Papalinas feast”).